Top Notch Material: EquiptBaby Pop Up Bassinet is Perfect for 4th Of July Celebrations with Baby! 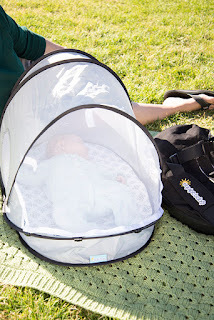 EquiptBaby Pop Up Bassinet is Perfect for 4th Of July Celebrations with Baby! Today is the 4th of July, so it is the perfect time to share this innovative baby product with you! I know there has been many cookouts in our life that we wished we had a place to keep our babies our of the sun, away from the bugs and resting comfortably while we enjoy the festivities! While this 4th we do not have a tiny infant to find a place to nap, we are expecting one soon and wanted to share this awesome product we received for review with you! EquiptBaby has come up with an awesome product that will truly save the day, or in this case, save your 4th! 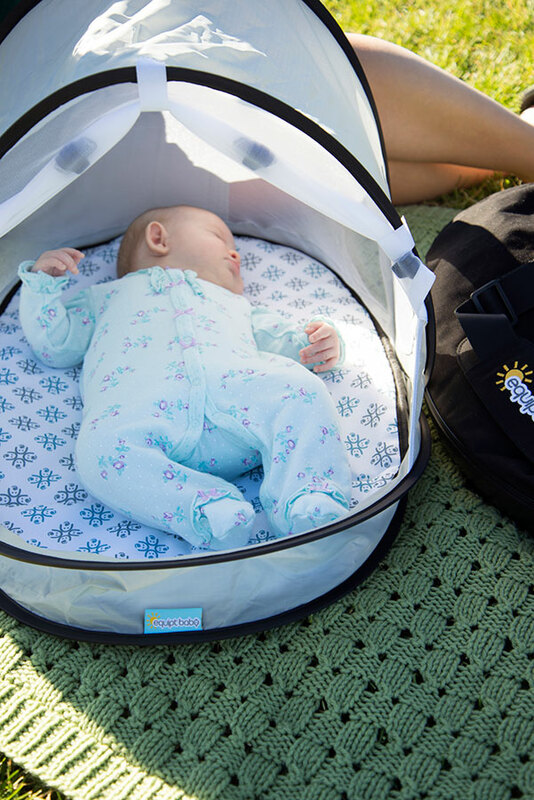 They offer a super cool, fold up, pop up baby bassinet that fits in any diaper bag! It has a wonderful mesh screen around it to keep the pesky mosquito off of your precious little one! I seriously wish I had this when my boys were infants. We are a very active family and the ease of setting this up really makes life easier! I also love how super light it is, so you just throw it in your bag and go and it does not weigh you down like a pack n play would!